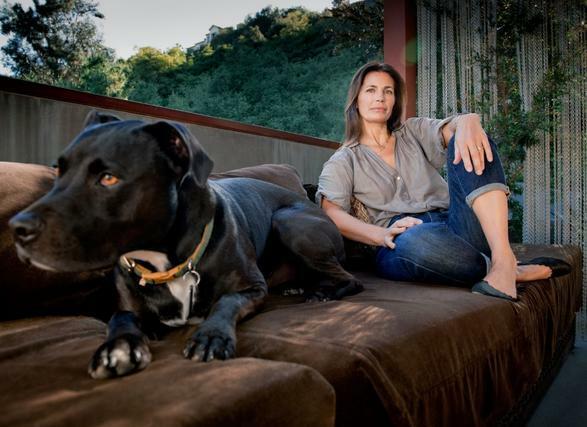 Screenwriter Susannah Grant, whose works include Erin Brockovich and 28 Days, delivered a deeply personal lecture in which she shared her utter adoration of all things film. 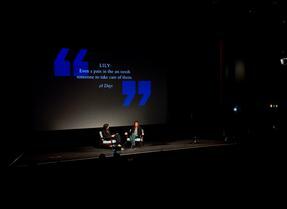 On Saturday 28 September, Susannah Grant delivered the third in a series of BAFTA Screenwriters’ Lectures in association with JJ Charitable Trust presented annually in partnership with BFI, now in its fourth year. 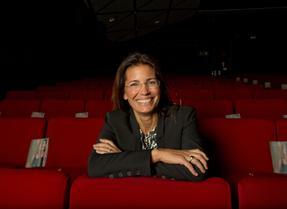 Download Susannah Grant's Screenwriters' Lecture Transcript to read in full. BAFTA/ Stephen ButlerSusannah Grant is revered within the film industry as an impressively versatile screenwriter, equally comfortable in delivering quality films for adults or for young audiences. She has an enviable filmography which includes 28 Days, In Her Shoes, Ever After, Pocahontas, The Soloist and Erin Brockovich for which she received BAFTA and Oscar nominations. It was a surprise therefore to hear Grant describe her first foray into scriptwriting as “a complete failure”. The failure to which she referred however, was an attempt to rewrite Cinderella whilst in fourth grade resulting in a “page one re-write” by her 9 year old peers and can perhaps be overlooked. Grant described this first ever screenplay as the only one she has ever approached with any degree of confidence and the experience taught her a valuable lesson; “screenwriting guarantees humiliation and abuse”. Throughout her talk she discussed the openness of writing, that as a writer she reveals something of herself in each script, laying herself bare, teetering on a knife edge between success and failure. So why, you might ask, would anyone choose to make a career of such an agonising experience? For Grant, it’s simple. It all comes down to her total adoration of film and devotion to the film industry; “I love and still love everything about the movie-going experience”, she explained, describing it as; “a collective emotional experience that is increasingly hard to come by in our culture”. Throughout childhood, film allowed her to live out stories, lives and emotions she could never have accessed in everyday life and to work in that industry was the only feasible career option she could contemplate. And what of that dreaded risk of humiliation? For Grant, this is a risk that comes not just for screenwriters but for anyone who is doing anything remotely worthwhile. In her words; “Failure is constant. Anyone who tries to illuminate the human experience is opening themself up to failure”. As a woman who puts so much risk and emotion into her scripts, it will come as no surprise that Grant is fiercely protective of her work. She described the screenplay almost as an extension of herself, and repeatedly emphasised the importance of guarding its integrity and ‘unique voice’. She advised writers to set out their intention for their movie before beginning the collaborative filmmaking process, warning “it’s easy to get blinded by the volume of ideas that come in once you start collaborating with others”. Whist she spoke positively of working in collaboration, for Grant there is no question of where her responsibility lies, and that’s to defend the integrity of her screenplay. She recalled two occasions where she had not maintained this principal explaining; “any time I’ve protected my job more than the script, I’ve regretted it”. BAFTA/ Stephen ButlerThroughout the length of the talk, the audience were left in no doubt of Grant’s gratitude for her career and she closed her lecture describing her craft as “an enormous blessing that I do not, for one moment take for granted.” Amongst the array of practical tips and advice bestowed by Grant, it was this overwhelming gratitude for the gift of her craft that was perhaps the most inspiring. Her words remind aspiring writers of the immense value that should be attached to their talent, and she encouraged them to nurture it with hard work and dedication: “no matter what amount of genius you have, you still have to work very long and very hard”.